SinfulColors’ new July 4th collection, Having A Blast, helped me create the most patriotic pedicure! Bring on the parades, BBQs, and fireworks because I’m ready to celebrate America’s independence. 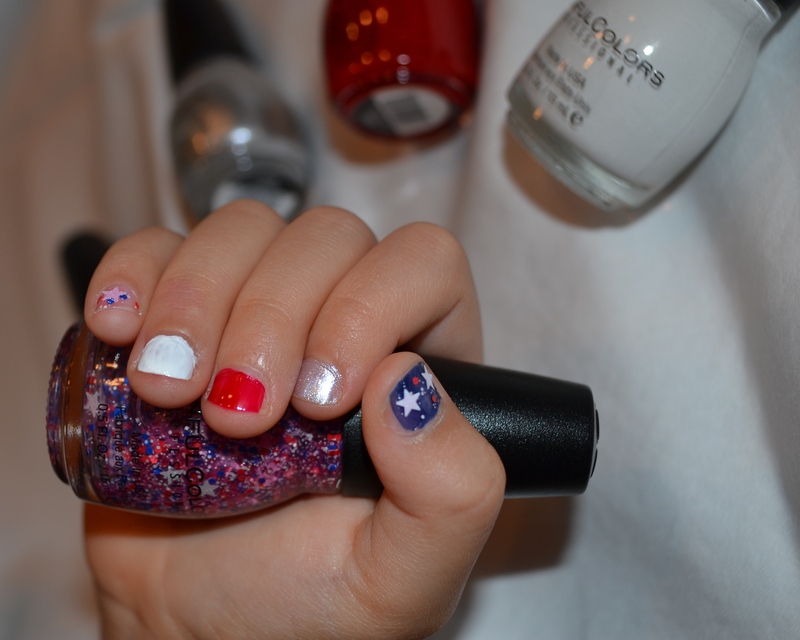 July 4th is about fun, fireworks, and fierce nail polish, of course! 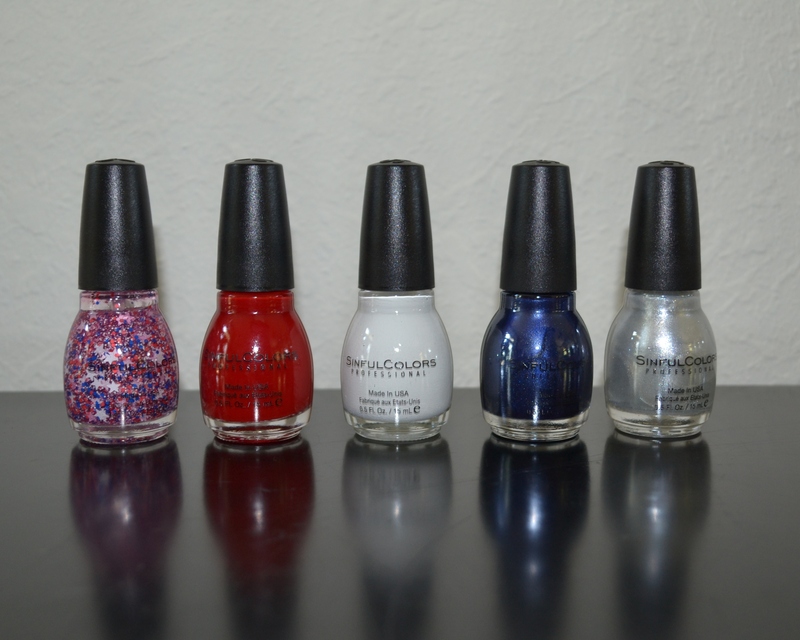 SinfulColors Having A Blast collection will get you in the American spirit with their dynamic hues of class red, white, and blue that can be topped with a glitter shade for additional sparkle. Your mani and pedi will look fresh and festive. If you follow my blog, you already know that I’m a huge SinfulColors fan. Well, after I gave myself the most patriotic pedicure ever, I became an even bigger fan! Of course, my daughter wanted to get in on this review. So I gave her a star-spangled manicure. SinfulColors is made right here in the USA. It is a great product available at an affordable price. You can’t beat $1.99! SinfulColors is formaldehyde, toluene, and DBP free. Have a safe and happy 4th of July holiday! Pretty Proof gives SinfulColors’ new July 4th collection, Having A Blast, five out of five crowns because this polish is perfect for creating a pretty, patriotic pedicure or manicure. LOVE your toes! Wish I could do mine like that! But with parts of two nails removed, I don’t want to call attention to my ugly feet. LOL I love the idea of a different color or design on each nail. lucky man, i took this video at the servo, the amount of cars i seen coming in covered in leavesï»¿ from trees, their bonnets and roofs covered in dents, i felt sorry for them. The citizenship test is given in English so they need to know English well enough to pass it. Beyond that, the country has no official language so no, they shouldn`t be required to. Hi there are choosing WordPress to your internet site platform? Iam new to blog entire world but. Iam hoping to get began and set up my own, personal. I also found out about Drupal is fine. Will see my selection…. Informative article, many thanks.